Many people experience this type of awareness, but they may not even know God is behind it. Examples of this are also in the Bible. Consider when Paul feels compelled to go to Jerusalem or when Jonathan acts with brash boldness, even though it’s humanly foolish to do so. Another time is when the early church decides how to handle a divisive teaching. Also, consider when God directs Paul in writing his letters, when teaching, and even in court. 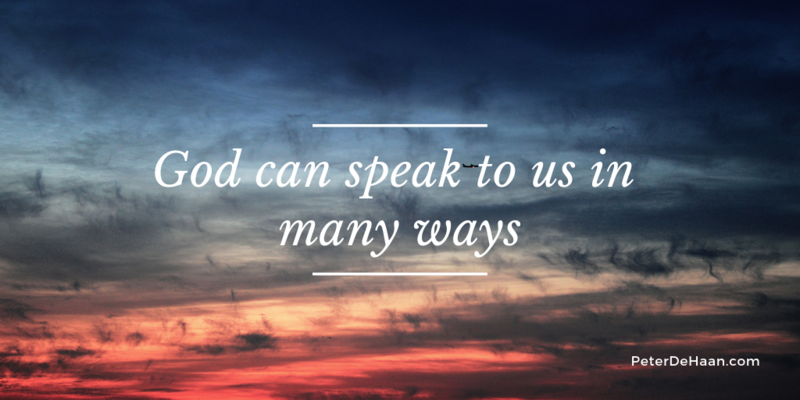 God can speak to us in many ways. Are we ready to listen?